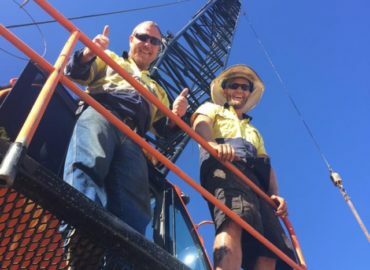 Ashburton Crane Hire was called to the rescue to assist a Perth based mine and exploration drilling company. They needed vehicle and equipment lifted for some exploration drilling. 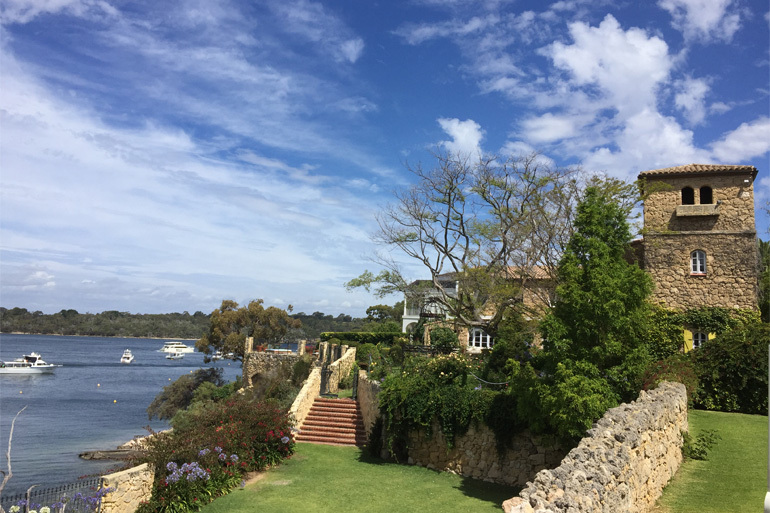 The future WA mining project could not access the rear of the Perth property. 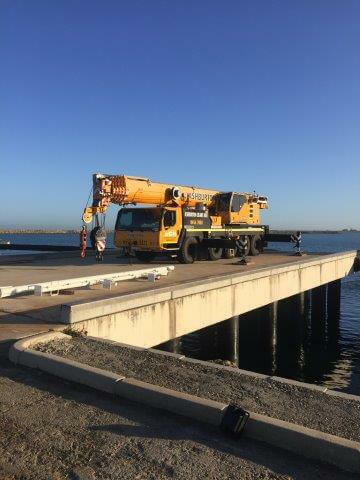 Used a 25 tonne Franna crane and 2 x Riggers with the 1st rigger on the Franna side to guide the rig as it was lifted over and 2nd to land it. Once the drilling project completed, we loaded the equipment back out of the property. 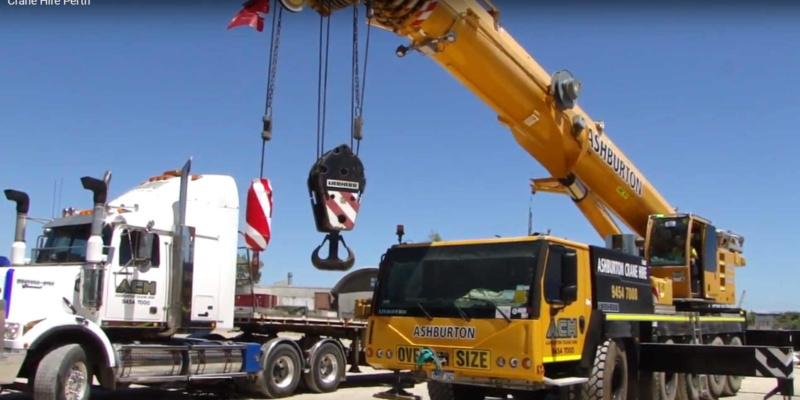 While based in Perth WA, Ashburton Crane Hire has its own crane transporter to get mobile cranes for hire to mine site construction/maintenance projects in Western Australia. 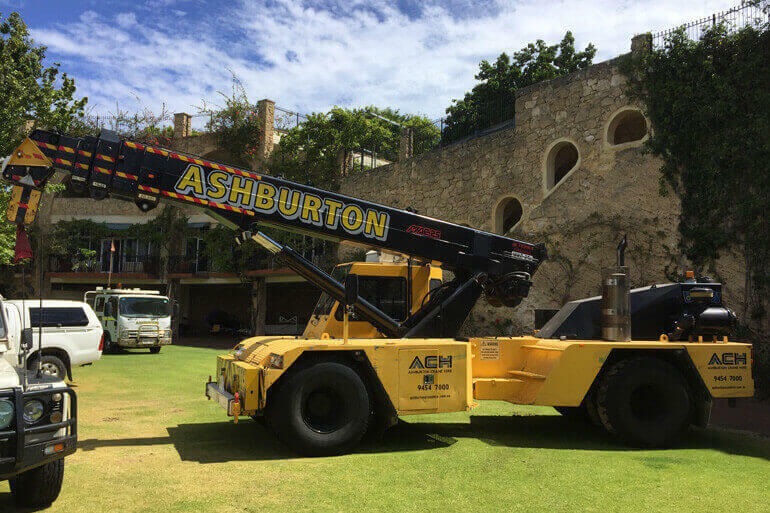 Ashburton Crane Hire can transport a crane to your WA mine construction site on time and within budget! 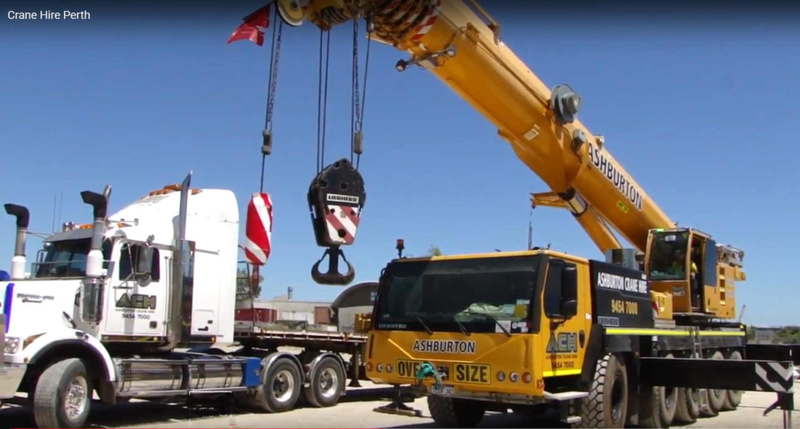 WA crane transport photo above from our crane hire video. 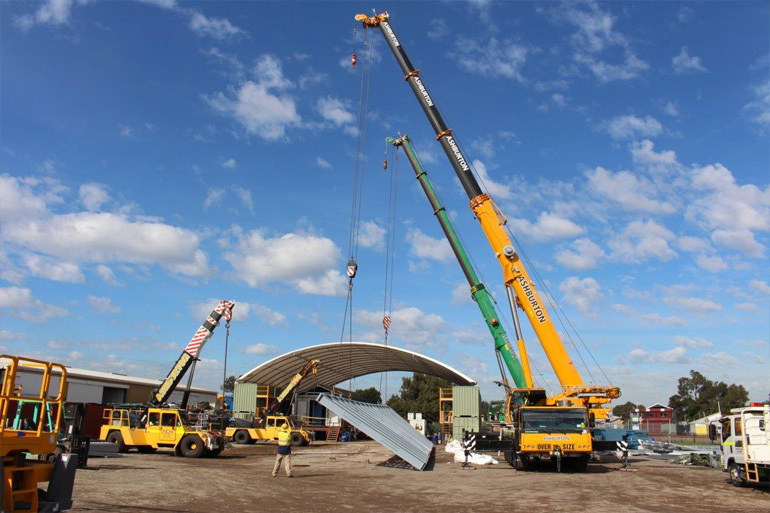 Used for long distance Western Australian transporting of our big all terrain cranes on tracks. 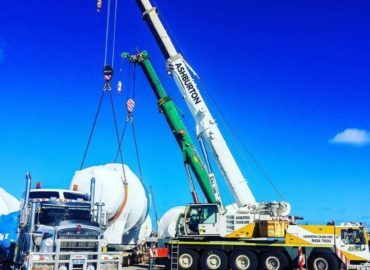 Below is a photo of multiple Ashburton Crane Hire cranes at a Western Australian mine site construction project. 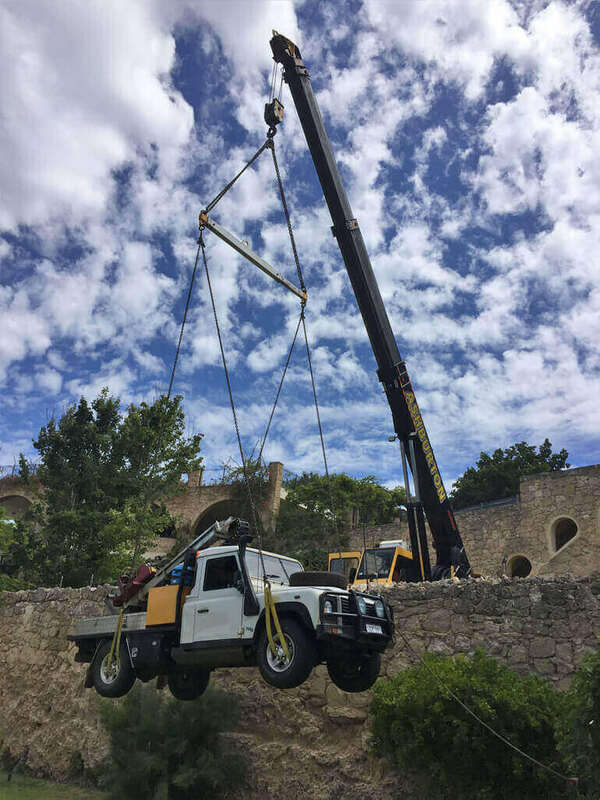 For long term crane hire at WA mining/construction sites we'll want to return our crane transporter to Perth to move our bigger cranes and all terrain cranes on tracks to sites about Perth. Therefore ACH can back load, long haul transport bulk mining equipment to and from Perth at discounted mining equipment transport rates.